1. Six Ø2.5” swivel castors for easy maneuverability. 2. 1“tubular iron construction with light mat. 5. LED quantity: 72pcs LED bulbs. 7. Bright light despite low current draw. 8. 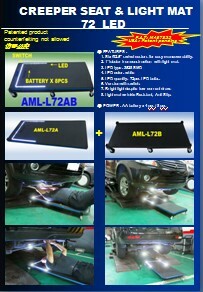 Light mat wrinkle-Resistant, Anti-Slip.